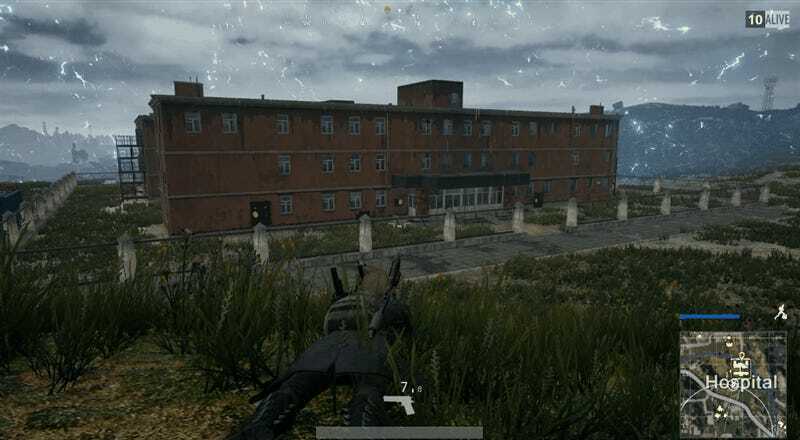 In Battlegrounds’ bombed-out hospital, I can’t tell whether my footsteps are my own. Every few meters, I duck into a room and stop to listen to my own movement, taking a few test steps to match them with their corresponding sounds. If there’s silence, I keep moving. That way, I can amass a dozen items I may never use before planting myself behind a dusty privacy curtain. Then, I hope someone makes a bold move. I’ve never survived and I always come back. Battlegrounds’ hospital is everything about the survival shooter that makes me scream (I am a loud Battlegrounds player). It is, by far, my favorite place to spend time in the game, namely because the strategies it demands are so dramatic. It’s two large, moldy, buildings near map’s westernmost point, connected by a bridge. Dozens of rooms across three floors contain scuffed metal shelves and bed frames, which hide grenades, pistols and other mid-tier gear. The rooms stem off long, open hallways of chipped tile. All along them, there are sort of mocking wood benches—Who would sit here? It’s disgusting, and anyway, somebody will eagerly headshot you if you stay put longer than a minute in the hospital hallways. I find it nearly impossible to tell whether there is another person navigating the enormous complex, and even if I hear their footsteps, they could be in any of four or five nearby rooms, all with open doors. Hunting them down involves a series of risky entrances. Someone could have their crosshairs aimed at exactly where my head will be a moment before I die. Or, a lot of the time, the whole hospital is empty. So I spend a half hour terrified about absolutely nothing. It’s great. I love this zone because it’s like playing a horror game, if that horror game was extremely cynical. Looting the hospital means collecting any of hundreds of items. Getting greedy means exposing yourself to danger. 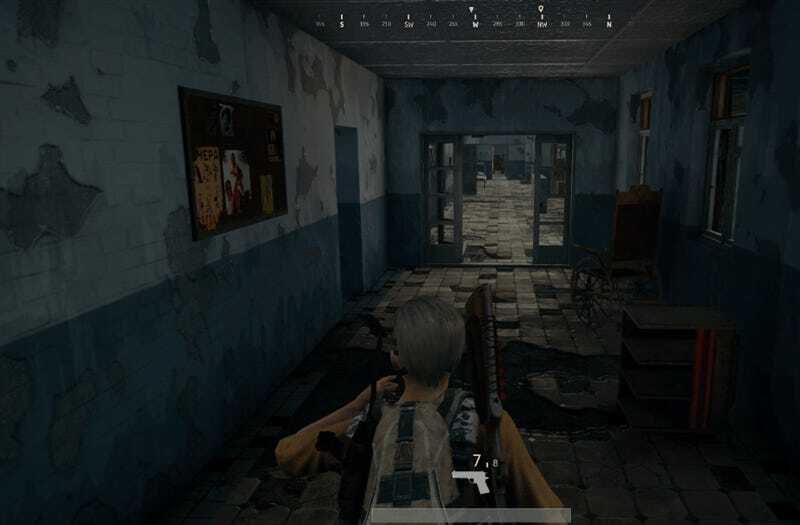 Staying alive long enough to win Battlegrounds is a rare feat, so there’s a significant chance you will die regardless of how many items you’ve collected. It’s not for everyone. For me, it’s funny. I’ve spent several hours total collecting meh items in a disgusting video game hospital zone only to get killed pretty much immediately. Basically, the way I play Battlegrounds’ hospital is the opposite of how I play any other game. I spend 90% of the fearfully looting, I suddenly die from forces beyond my control, and then I lose all the items I looted. Something about the zero sum gain of it is refreshing. Balancing greed and safety is one thing, but I always lose the fight to stay patient. I can probably wait for four minutes, maximum, behind a door before I get bored and intentionally place myself in danger. I’ll do something idiotic like pause at the end of a long hallway or walk along the edge of the hospital roof (I’ve never found a sniping scope there) without even crouching down. 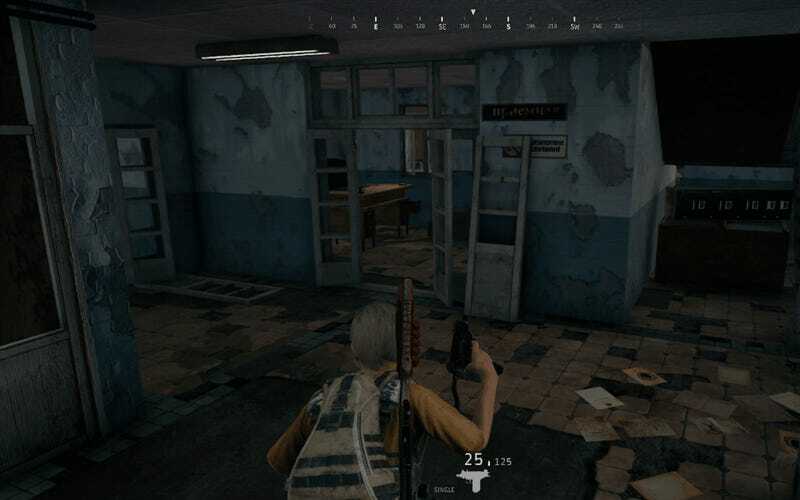 Battlegrounds’ hospital elicits a kind of all-or-nothing attitude about winning where you have to either be completely vulnerable or a very patient coward, and both ways of playing are totally fine.